Do you dread or celebrate the arrival of snow? Posted in art, life, northwest, photographyTagged art, beauty, leaf, nature, oregon, outdoors, pacific northwest, photo, photography, snow, winterBookmark the permalink. absolutely beautiful shot! Stellar! 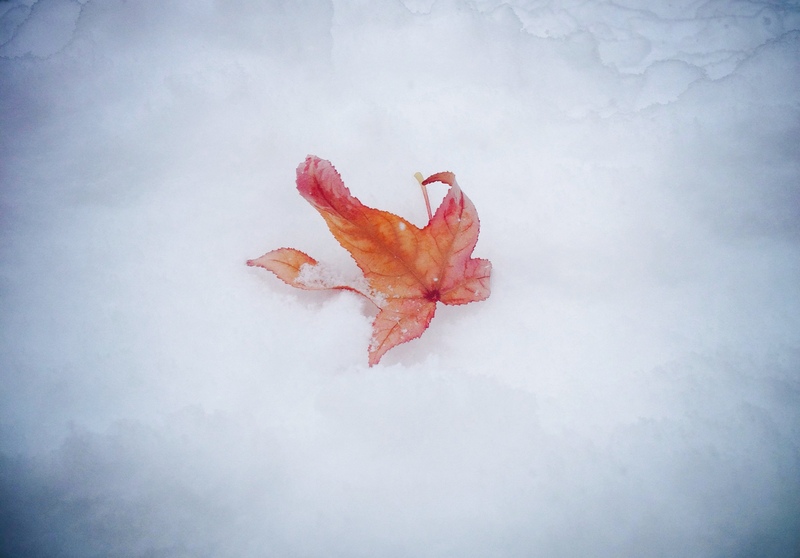 The colors in the leaf stand in such contrast to the snow! thanks much for sharing! Thank you so much for your kind compliments! The contrast is what drew my eyes to the leaf, and I couldn’t resist capturing its image to share.